I'm pretty busy at work at the moment and I have some reading I would like to get done tonight, so here is a little more Picture Polish spam, which I have added to my Picture Polish colour guide. 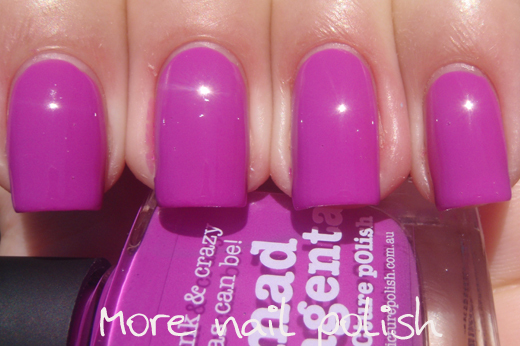 Fairy Floss - I love how Australian this polish name is. Fairy Floss is the Australian name for Cotton Candy or Candy Floss, and isn't this just the exact right pink shade for fairy floss. Oh, and I'm a complete sucker for the stuff whenever I see a stall selling it fresh! In fact I even have our own little at home fairy floss machine that turns a teaspoon of sugar at at time into a melon sized ball of fairy floss. 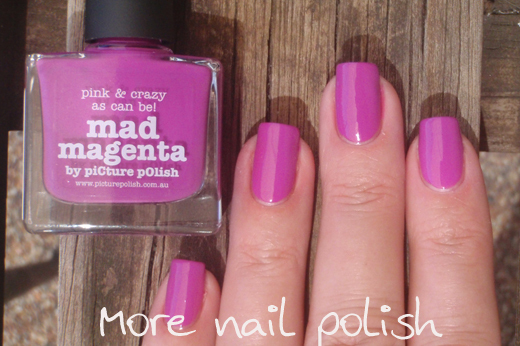 Mad Magenta - a rich bright magenta pink. Gorgeous smooth creme polish with excellent opacity. 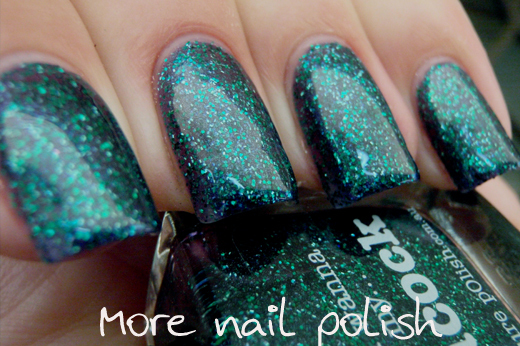 Great for layering glitters over. 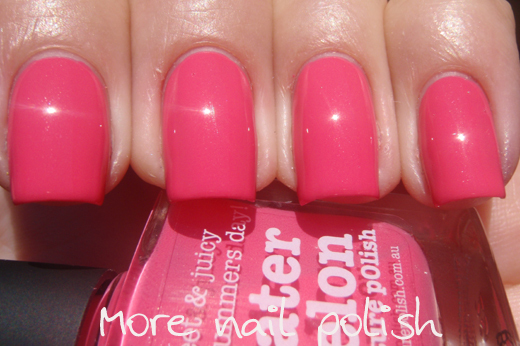 Water melon - a bright but soft watermelon shade pink. Another excellent creme shade with good opacity. Smooth and easy to apply. Peacock - A bonus reswatch of Peacock because I wasn't happy with my previous photos of this one. It's incredibly hard to photograph because the purple base plays tricks with the green glitters. Sorry for the quick and spammy post, but stay tuned for something special tomorrow. Ooh... pretty! Peacock is already on my wishlist but I am liking the cremes too! Those pinks are really pretty! Thanks for explaining what cotton candy is, I was never sure. We call that stuff candy floss in the UK. The first 3 colours, i need to pretend that i diddn't see them oooh !